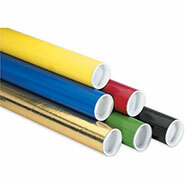 Mailing Tubes are a great choice when shipping posters, blueprints or artwork. We have many types of shipping tubes to suite most any need. 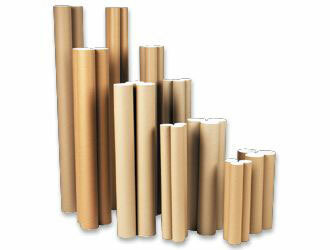 We offer mailing tubes with end caps, snap-seal end tubes, corrugated cardboard tubes and heavy duty tubes. Most are available in kraft (brow or natural), white, and number of other colors.